By their very nature, projects are full of hidden risks -- the scope could be ill-defined, dependencies could be inaccurate, etc. The key is to identify these risks early in the project before they affect cost and deadlines. 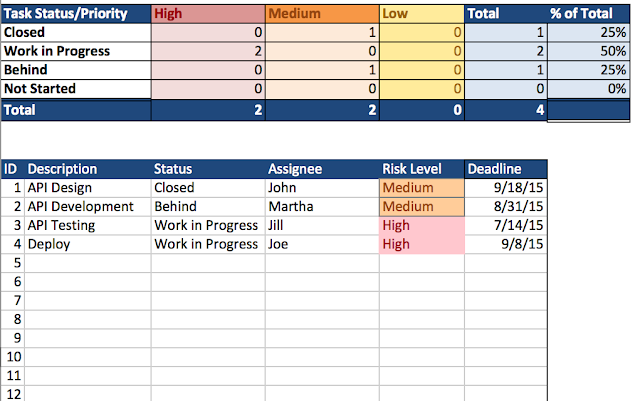 The project risk tracker organizes all potential risks in one location and is beneficial to anyone managing a medium-to-large project.